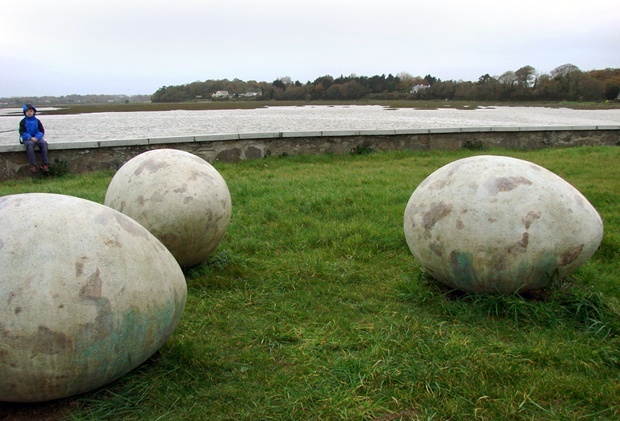 Description: The three eggs are situated in a ‘clutch’ on the grass adjacent to the shoreline at Baltray. The bronze eggs have a dimpled texture and are patinated a light cream colour with spots and blotches of brown. A bronze book on eggs lies open on a rock next to them. ‘A playful, rather surreal and interactive feature to this expansive costal landscape’.